Finding The Right Your Solar Installer Isn't Easy. You Only Get To Do It Once, So Get It Right. So, you’ve finally decided to convert to solar power? Congratulations on taking that all important step towards greener living. And don’t forget, you’ll be saving thousands of dollars along the way! Odds are by now you’ve already done a lot of research on the system you want. If so, you may also have come to realize that, unfortunately, everyone seems to be offering you the “best deal possible”. Solar is alive and kicking, and everyone wants to cash in on this deal. The solar industry has taken off like a rocket, and there’s a lot of hype surrounding solar installation nowadays. Because of this, many newcomers are jumping onto the solar bandwagon, flaunting their products without much regard for the evolution of solar technologies. General contractors, roofing companies and many others have all started adding solar to their services. And now, worst of all, shameless importers have started bringing in low cost, low quality panels from all over the world! Sadly, many of these companies have no real training. Combine this with poor experience, and you find installers who rely heavily on clever marketing tactics to get their panels on your roof. This is not what the solar market is destined for. Solar promises a reliable, renewable energy source for our future, and it should therefore be nurtured properly. 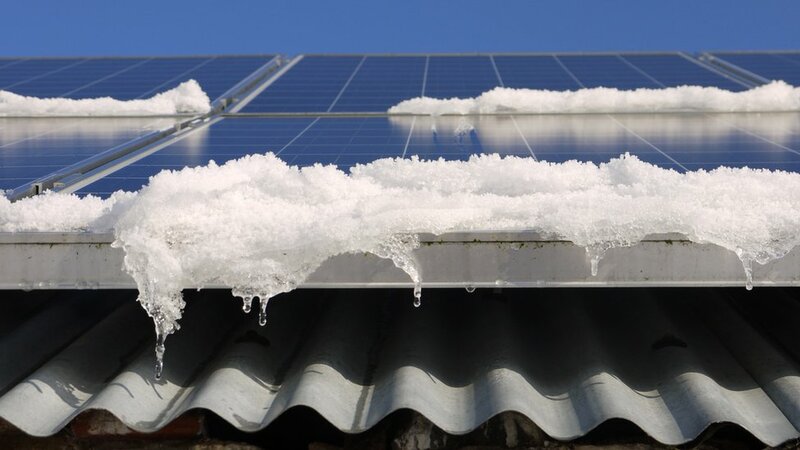 When it comes to installing solar panels on your house, you simply cannot afford to take any chances. And most important of all, you should respect solar technology enough to install and harness it CORRECTLY. So, What Makes A Good Installer? Well, for starters, don’t just take the first best offer you come across. Many people go head-first into a deal without fully understanding what their basic needs and options actually are. The only way to get the most competitive, cost effective deal is to compare quotes from multiple certified solar installers. 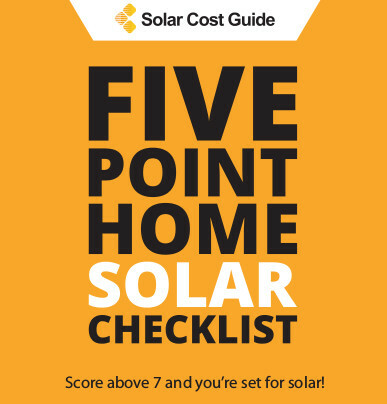 You can start right now by filling in your zip in the area provided for a 100% free, no obligation estimate, but just in case you weren’t sure, here follows that list of the top 7 things you absolutely must know once you start browsing for possible solar panel installers. Does your prospective installer promote good quality products alongside a wide enough selection to cater for your specific requirements? Be careful of salesmen who only offer one solution. How long has your prospective installer been in business for? This will be the best indication of their level of competency. Time is the only thing that will provide valuable references and reviews, so check up on their history. A solar company which has stayed profitable in the last 5 years will, in all probability, be able to provide you with the best solar expertise and technical assistance. It’s equally important to establish whether or not they will stick around for the next 10 – 15 years to handle all your future maintenance or repairs. The easiest way to check up on an installer’s qualifications is to visit the National American Board Of Certified Energy Practitioners‘ website. Installers with an NABCEP qualification will already have passed through rigorous testing with at least 2 years of experience installing solar panels. An inverter is necessary to convert your DC electricity from your solar panels into power for use of your plugs in your home. What inverter system is your installer recommending? This may not seem like the most pressing question, but next to your panels, the inverter is by far the most important part of your solar system. Inverters are all about the compatibility, and a stable inverter will make drawing power from your solar panels smooth and simple. Get the wrong one and you line yourself up for a parade of frustration. Your installer should be able to answer any questions regarding the different types of solar inverters. They should also be able to tell you how efficient the conversion from AC to DC ( and back again ) will be. On average, a typical solar inverter is around 95% efficient. You should only experience about 5% loss of power once the electricity is converted from DC to AC. 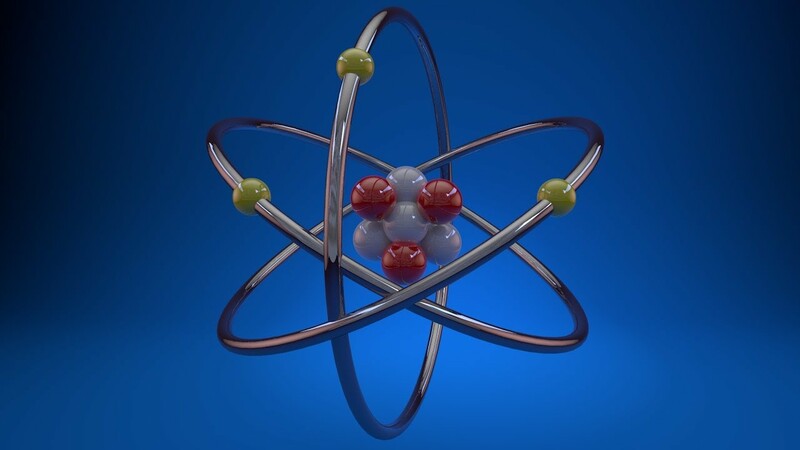 Converting from AC back to DC is less efficient, however, and you can lose anywhere between 10-40% power. Your new solar system is going to last you a very long time. Look at the products your installer plans to use. How long is their warranty? Is your system covered for its natural lifetime? Cheap solar products are usually imported, and though they may have great sounding warranties, it can be impossible to contact these manufacturers should you have a warranty claim. Thankfully, the warranty on a locally produced PV system will typically last for 25 – 30 years while inverter warranties last between 10 – 25 years. Shop around until you get this. Warranties should be standard, and if an installer does not offer you one, keep on cruising. Nobody wants to receive a liability claim due to an accident which happened while you were having your solar panels installed. Solar panel installers should have general insurance and workers compensation insurance on top of a contractors license. These are all designed to protect the homeowner from any unfortunate accident that may happen while they are on the job. Make absolutely 100% certain that your chosen installer is fully insured and bonded. If these protective contracts aren’t in place or cannot be verified, move along and choose a different solar panel installer. The rule of thumb here is…the closer, the better. Once you are ready to install solar panels, the location of your chosen installer plays a major role in determining the overall success of your whole installation. Building permits are issued locally, and they tend to vary greatly from city to city. A solar installer educated on local rebates and building codes in your area will be able to save you a lot of money further down the road. They will know exactly which permits to apply for and what paperwork to fill in. 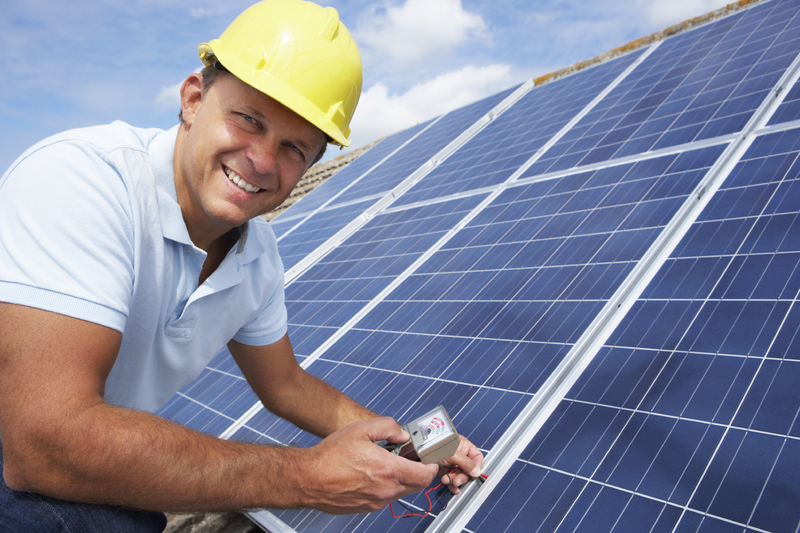 Additionally, your newly installed solar panels need to meet local electrical codes. It’s critically important to find someone experienced enough in the local trade that which will be able to answer your questions confidentially and guide you every step of the way. It’s extremely important you know exactly what your own electricity needs are. This will help you when factoring in the cost and size of your solar panels, and also give you a clearer idea of just what you stand to save by converting to solar. Before you finally settle on an installer, they must be able to show you an accurate and clear breakdown of any payback amounts alongside the monthly savings on your utilities bill. A solar panel installer may or may not include maintenance costs in their price, and some will charge additionally for it. They should also be able to explain the different financing options and their benefits applicable in your area. These include leasing, power purchase agreements, loans, and how these choices impact your power savings annually. Solar panel installation should be done by an accredited installer only. This is exactly why it’s advisable to compare as many quotes as possible. It is the only way to ensure you are really getting the best deal possible. If you’re unsure about the installer, have them quote you anyway. See where their recommendations diverge from your original plan, and if the contractor excludes elements which others recommend, ask them why. Getting a second, third or even fourth opinion on your exact needs and system requirements will ensure a clearer indication of what you actually stand to gain…or perhaps even lose for that matter. This is a job which absolutely has to be done right, first time, in order to maximize not only your savings, but the longevity and functionality of your system too.